Chegg, the Smarter Way to Student, in partnership with truth, one of the largest and most successful national youth tobacco prevention campaigns, today announced that one U.S. college or high school campus can win a once-in-a-lifetime visit from Steve Aoki, the international producer, DJ and entrepreneur. Beginning today, high school and college students can vote for their school to win this on-campus experience through an online contest. 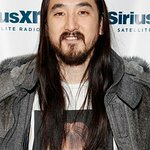 Steve Aoki will take over the classroom to host an exclusive Q&A with students, giving them a look at all that went into his rise to fame and experience as one of America’s most successful DJs and trendsetting entrepreneurs. The student body will also be treated to a set specially crafted for the day by Steve Aoki. To celebrate the importance of arts in education, Chegg will also award the winning school the $10,000 David B. Goldberg Music Grant for the music department at their school. Students attending high school or college in the contiguous 48 states can begin nominating their campus today for a chance to win the experience. To do so, students simply visit www.chegg.com/music101, log in to Chegg, and vote for their school. The school with the most student votes will win the visit from Steve Aoki. For the first time, students can earn additional votes by coming back to the website weekly and interacting with content from Chegg, truth and Steve Aoki. This #CheggMusic101 is presented by truth. It is the latest in Chegg’s ongoing series of music classes brought to students across college and high school campuses nationwide. 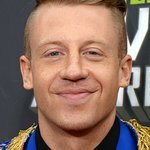 This season’s contest follows successful programs that Chegg has conducted with top-artists including Kaskade, Shawn Mendes, Rachel Platten, Macklemore & Ryan Lewis, Taylor Swift, and Ed Sheeran. To learn more about the contest and nominate a school, visit: www.chegg.com/music101. To learn more about how to join truth and become part of the generation to end tobacco for good, visit: thetruth.com.